While Tony Moly is iconic for their cute packaging their whimsical designs bleed over into their beauty products as well. When I saw these little mustaches lined up by the register, for only $4 dollars, I couldn't help but purchase a couple for myself and boyfriend. 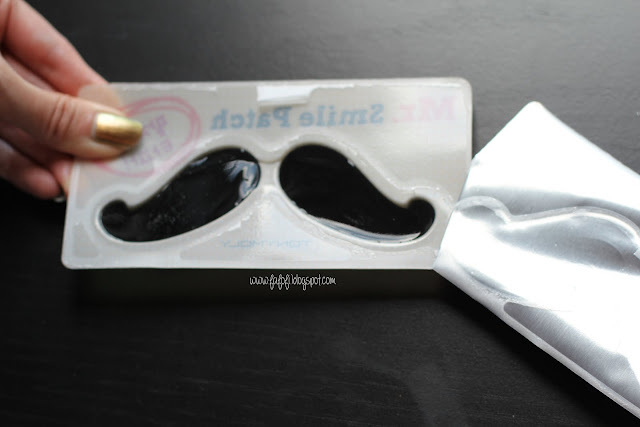 This hydrogel mask is pretty straight forward, just peel off the back and stick 'em on your face. 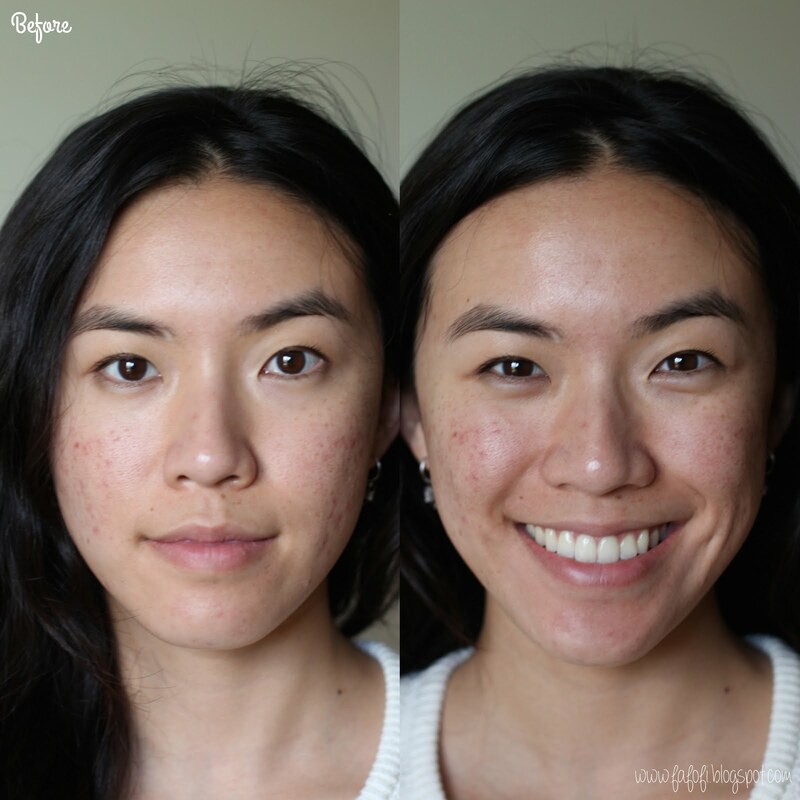 More specifically, where your smile lines are. 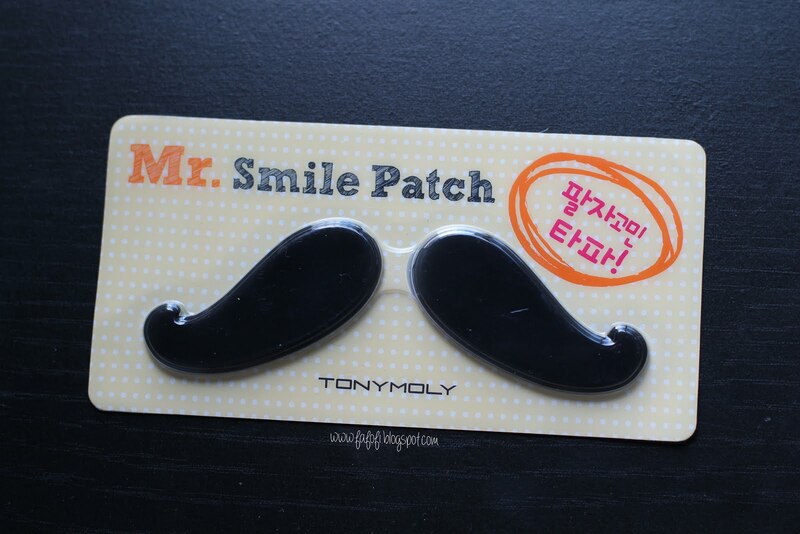 According to the Tony Moly site the Mr. 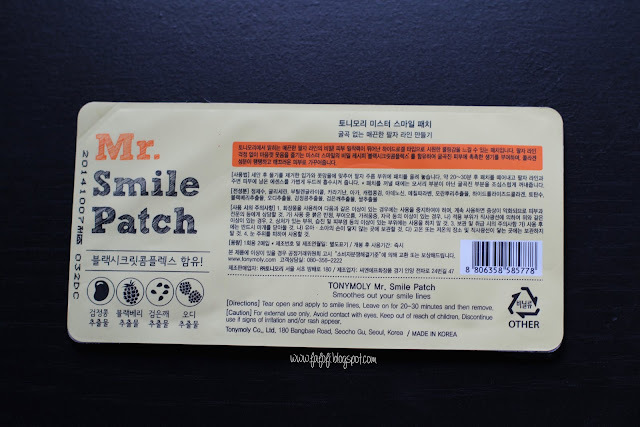 Smile Patch mask utilizes the essences of black sesame, blueberries, and mulberry to minimize your smile lines and promote smoothness in your skin. 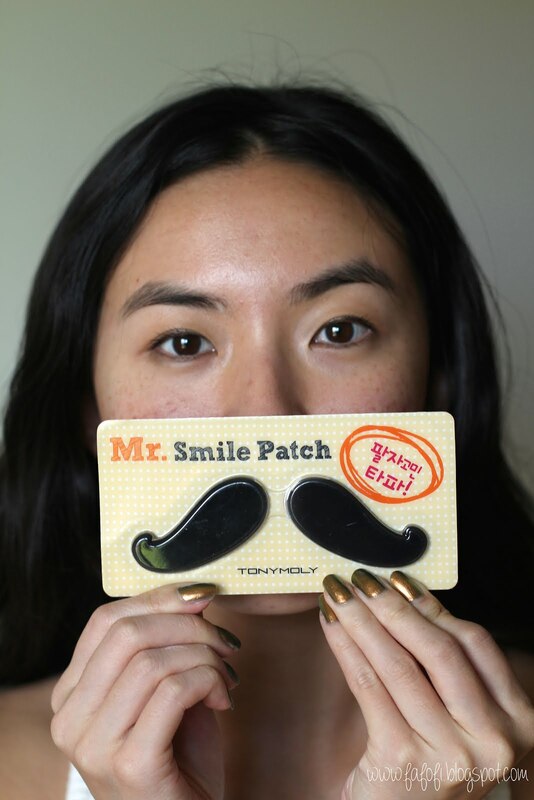 Stick the smile patches on your face and leave them on for 20-30 minutes. The hydrogel patches are pretty thick and smell more floral than fruity. 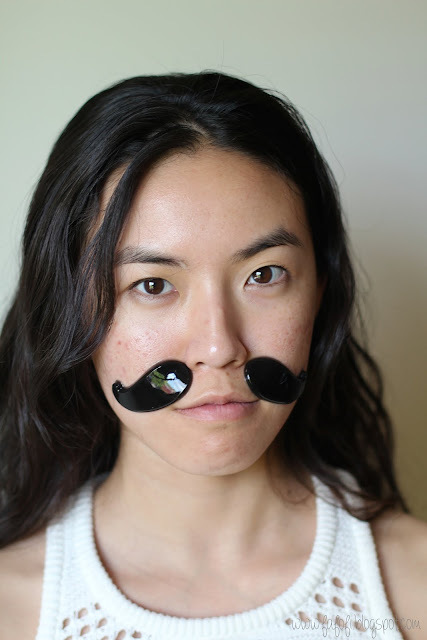 They're very lightly scented though, so I wasn't too bothered when I slapped them on my face. For ideal smile line placement the patches should probably be angled a little further down. 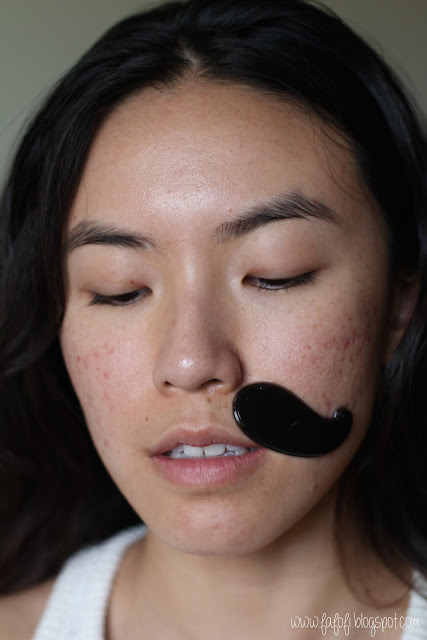 For pictures I think the traditional mustache placement looks best. The one thing that really annoyed me while I was waiting the 30 minutes for the patches to "work" was that they kept on slipping off my face. It was a constant battle of readjustment and after awhile I just gave up and lay prone reading a book. Additionally I didn't see a huge difference after the 30 minutes. 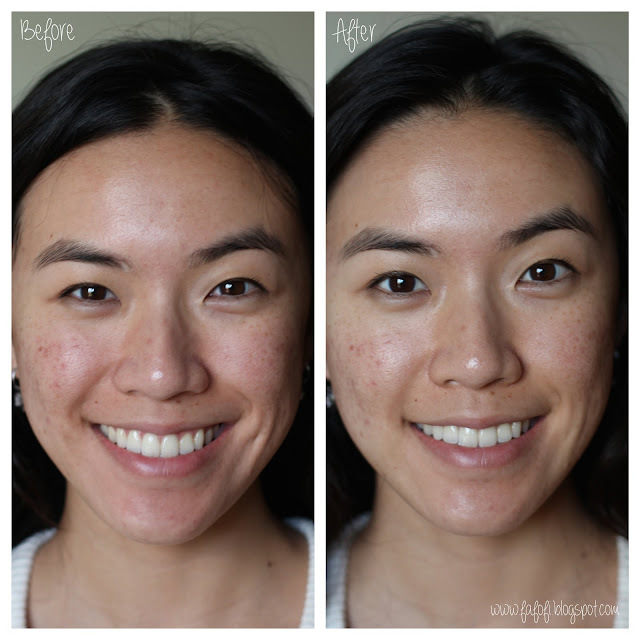 Certainly my skin was more hydrated, having had something wet placed on my face for a period of time, but I didn't think my smile lines were diminished or my skin was much smoother than before. 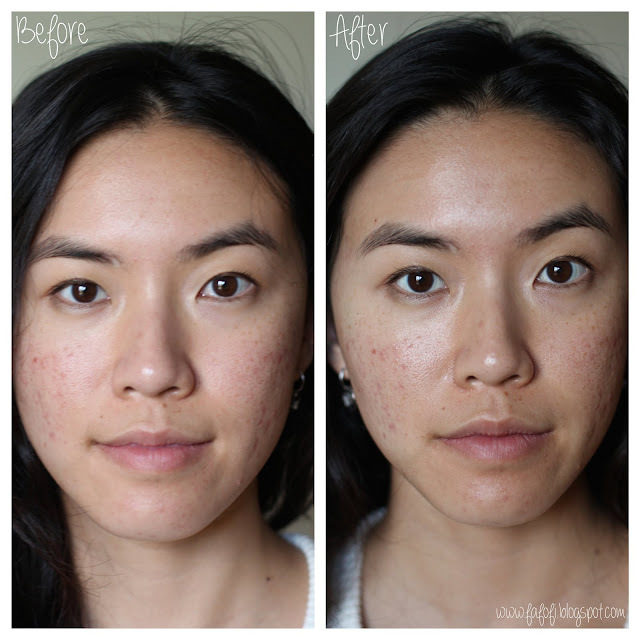 Here are some basic before and afters. 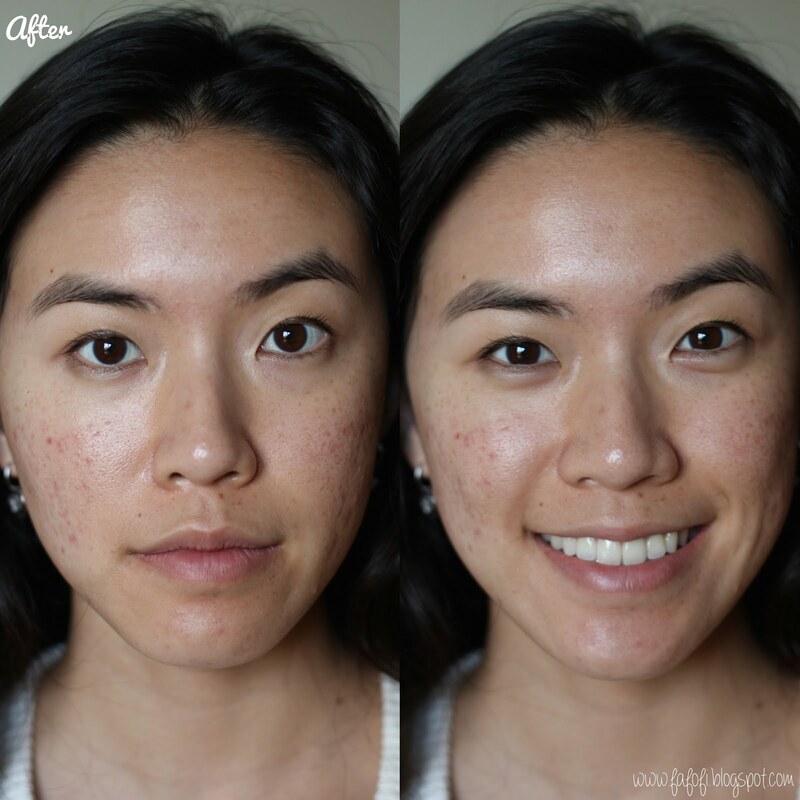 I feel like I'm smiling harder in the "before" photo, but as you can see there wasn't a significant difference. If you're looking to take a cute selfie, I would recommend buying these, but if you're thinking that this product will have a beneficial effect on your skin...you'd be mistaken. I probably won't purchase these again, but they made for a cute 30 minutes of taking some selfies. This is Superb. Its sound like magical product.